The Islamist militant group Al-Shabaab has claimed responsibility for killing dozens of KDF troops after they attacked a remote military base in Somalia on Thursday, January 26, 2017. 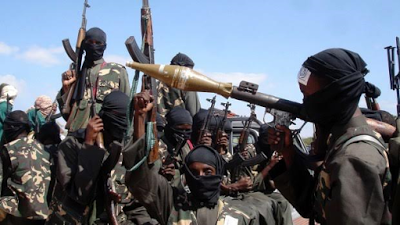 According to a spokesman for al-Shabaab, Sheikh Abdiasis Abu Musab, he said its fighters killed at least 57 Kenyans and took over the base in the southern town of Kulbiyow, near the Kenyan border. 'We are pursuing the Kenyan soldiers who ran away into the woods. Two mujahideen (fighters) rammed suicide car bombs into the base in Kulbiyow town before storming it,' he said, adding that alongside counting 57 Kenyan bodies the group seized vehicles and weapons. It could also be recalled that in January 2016, al Shabaab said it had killed more than 100 Kenyan soldiers in El Adde, a Somali camp near the border with Kenya. The Kenyan military never gave details of casualties.